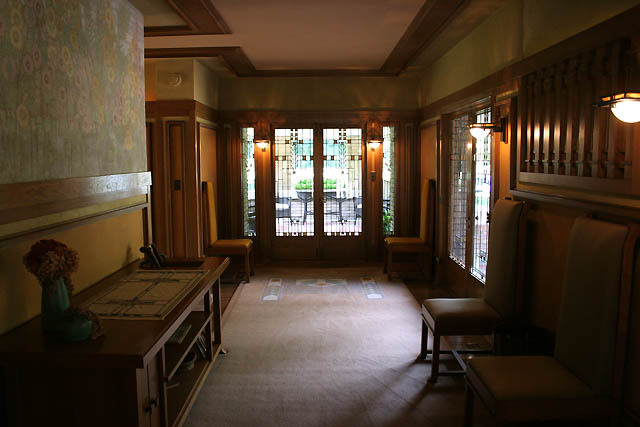 Biography: Designing stained glass was just one of the many art related areas for which Wright is well known: others are architecture, furniture and graphic arts. 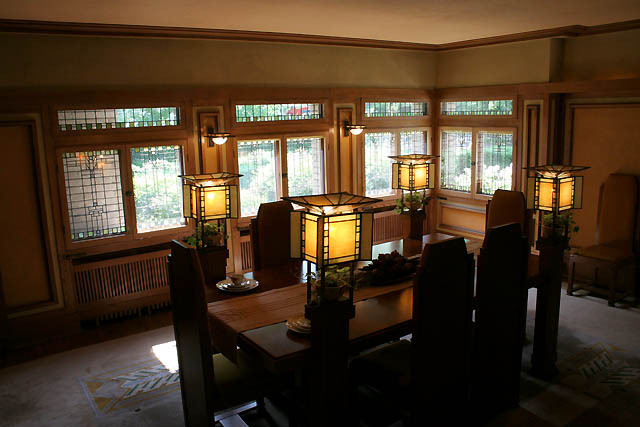 Michigan is fortunate to have several houses designed by Wright. 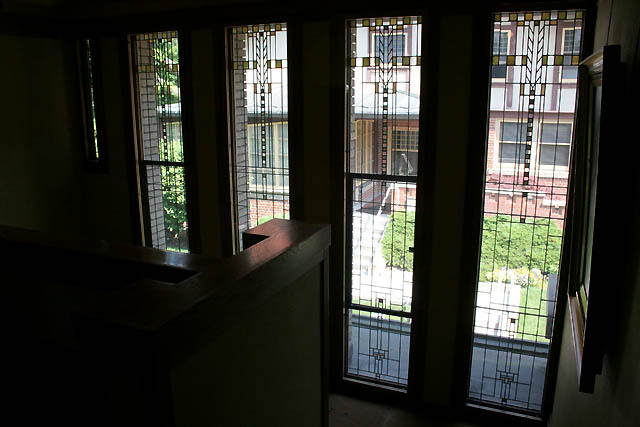 Unfortunately the stained glass has been removed from some, but the Grand Rapids Meyer May House still has several skylights and many windows. 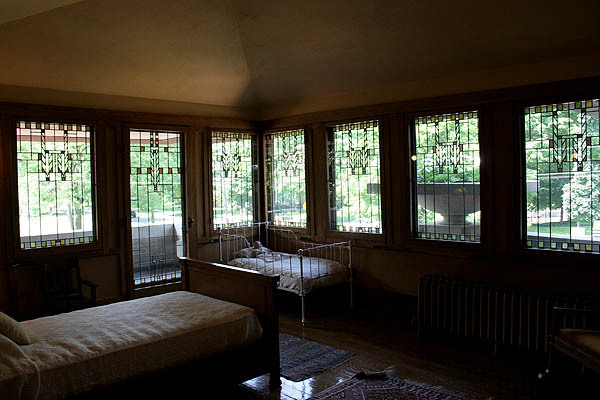 Wright designed windows are very recognizable in the use of clear glass, angled lines, and geometric shapes. 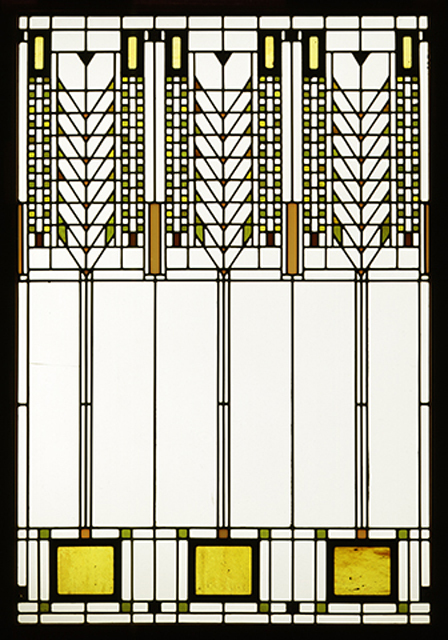 Many pictorial books have been written about Wright and his stained glass, too many to mention here. Description: One of the most well-known and influential architects of the twentieth century.